SHR Lochandaimh Dram's Promise: "Preacher"
Originally purchased from Lochandaimh Labradors. His pet name is "Preacher" with KC registration as Lochandaimh Dram's Promise. He was born in Perthshire, Scotland on June 03, 2012 near Dunkeld. 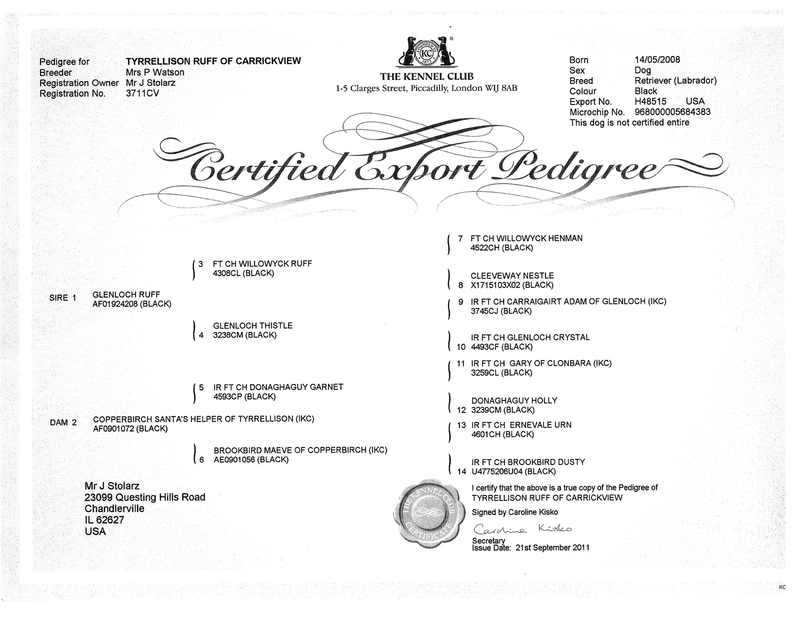 He is a beloved family dog and loyal companion both at home and in the field. 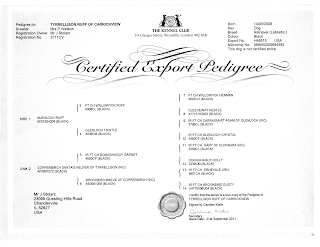 He is Kennel Club registered, AKC registered (DNA#V678296), and UKC (Certificate of DNA Analysis on file) registered. Preacher is OFA hips dysplasia 'Good' (OFA# LR-209263G24M-VPI) and elbow dysplasia 'Normal' (OFA# LR-EL63446M24-VPI), and has current Eye CERF and is 'clear' for EIC, CNM, and PRA. Preacher hunted geese, ducks, pheasant, and dove throughout 2013-2016. Preacher has retrieved hundreds of ducks in the field, mainly in the state of Kentucky. 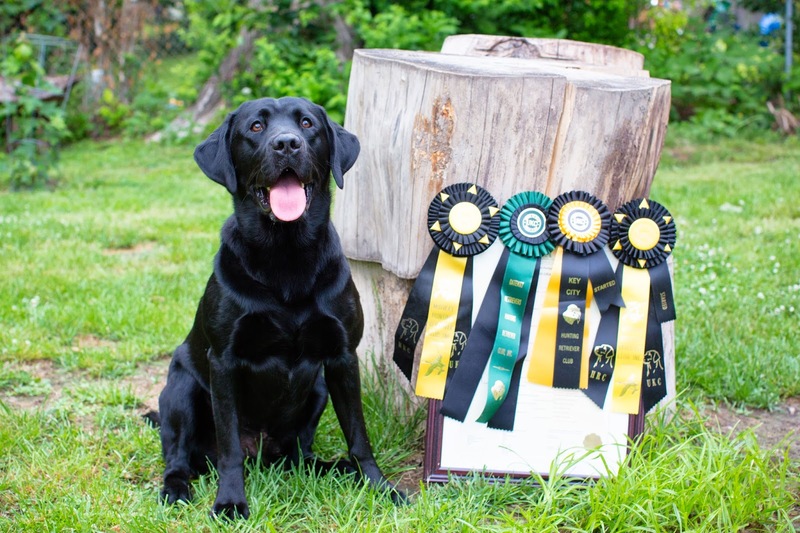 In addition, Preacher also received his SHR title while participating at Hunting Retriever Club events and is currently working towards his HR title this upcoming year. Preacher weighs in at 75 lbs and is a 'yellow factored' Labrador Retriever. Preacher was sired by FTW Levenghyl Wing And A Prayer. 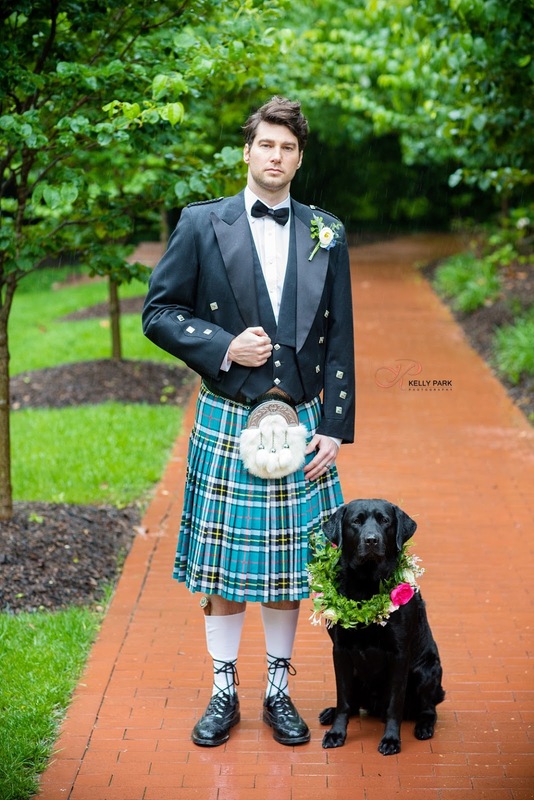 Pet name "Goose" and is owned by Peter Bates an A-panel field trial judge who has qualified for the IGL Retriever Championship 10 times, quite an accomplishment. Peter Bates often takes time to train dogs and handlers in "skills that a dog must develop if it is to go on and compete in field trials."